It’s 30 minutes until showtime at the Illinois Youth Center-Warrenville. In the large gymnasium, draped with 30-foot burgundy curtains, four stuffed rubber chairs loom large on stage left and a sextet of musicians are tucked away on stage right. The audience consists of family members, theater supporters and incarcerated teens. The multi-level stage features a center catwalk. Nearly all 100 stadium-style chairs are filled. Superintendent Judith Davis appears and says, “Ladies and gentlemen, the story you are about to see is true. Only the names have been changed to protect the innocent.” It’s a line borrowed from the opening of the TV series “Dragnet.” Unlike “Dragnet,” however, these stories are told from the perspective of the incarcerated. The original musical being performed, “Dear Sky,” is a form of narrative therapy based on the personal experiences of and performed by the youth at IYCW, a maximum-security prison for young adults. “Dear Sky” is a collaborative effort between the Negaunee Music Institute and Storycatchers Theatre. Founded in 1990, Storycatchers specializes in creative youth development programs that serve young people at all stages of court involvement, from probation or detention to incarceration, and eventually to post-release employment. According to its website, Storycatchers provides an “outlet for court-involved young people to experience success through the process of writing and performing original material inspired by their personal experiences.” Since 2002, Storycatchers has provided musical theater programming at IYCW, and the Negaunee Music Institute has collaborated with the facility since 2008. Storycatchers’ passion and commitment to altruistic projects are widely celebrated, and the group has received many awards and much recognition, and most important, has generated success stories that attest to Storycatchers’ worth. The musical featured two gender-specific ensembles of incarcerated adolescents: Firewriters and Fabulous Females. Participants wrote, shared and discussed personal stories, and identified common themes and challenges. 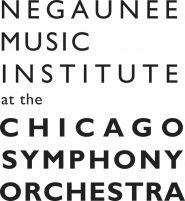 Through this process, they explored the root causes and long-term consequences of their behaviors, and were guided by expertly trained faculty, Chicago Symphony Orchestra staff and Civic Orchestra of Chicago musicians. The result of all this training, introspection and practice was extraordinary to behold. The young actors’ ability to understand their characters’ complex backstories was informed by their deep understanding of the source material. For example, the eponymous character had difficult syncopated rhythms and notes up and down the staff, but the actor’s ability to relate to Sky revealed a purposeful vulnerability. Cellist Allie Chambers wished the musicians had had more time to get to know the incarcerated teens as individuals. Toward the end of the production, the adolescents’ personalities “really started to shine,” she recalled. “They are all unique and beautiful individuals.” As a way to bond and open a dialogue with the teens, Chambers allowed her castmates to experiment with her cello. This example demonstrated how the collective effort between Negaunee Music Institute and Storycatchers allowed the music to serve as an entry to the performers’ lives. In such an environment music was not a commodity; rather, it was an access to a shared understanding. The attention to detail in the production was high as well. Even when out of the spotlight, the actors were engaged, and the musical time signatures and timbres were diverse. The plot lines weaved together nicely and allowed the audience to consider several different perspectives throughout the show. The staging used peripheral choirs to create a Surround-Sound-like effect. By Benjamin C. Wise, programs assistant for the Negaunee Music Institute. Note: The Negaunee Music Institute will work with Storycatchers Theatre’s Changing Voices program in late April and early May at the Illinois Youth Center-Chicago.